Anything in this story about two big accounting firms being at Ewood this week? Strange that none of these football teams can turn a profit. Clearly the staff i.e pakistan election 2018 polls the players and managers are paid too much. Last edited by Arynews on Mon May 28, 2018 10:50 am, edited 1 time in total. Is that a faint whiff of Shrewsbury sour grapes? It's also true at both clubs of course. Footballers are universally a bunch of overpaid losers. In regard to Venkies yes, they destroyed Rovers,but I've had no qualms with the way the club has been run in the last twelve months or so and I hope they don't sell. The problem with holding clubs up as models is that they're often only a couple of mistakes away from ruin... Last year Southampton were lauded as the ideal and yet this season they've invested badly and not many would say they didn't deserve to go down. Which brings us to the main problem... every club in the premier league (beyond the top half dozen) is wholly reliant on the TV money which is by degrees their largest source of income... no matter how well run a burnley or swansea may appear from the outset... they're paying premier league wages and fees with premier league TV money... remove the TV money and the club will not be able to make ends meet and they wil be forced to either sell all their assets (players) or borrow heavily to support a swift return... essentially, the rovers model of the last few years will become the norm. Fair play to burnley - they're doing well... but it isn't difficult to imagine an alternative scenario where Keane / Heaton could have proved difficult to replace and they spent double the 20 million profit in January trying to shore up a defence at the wrong end of the table. 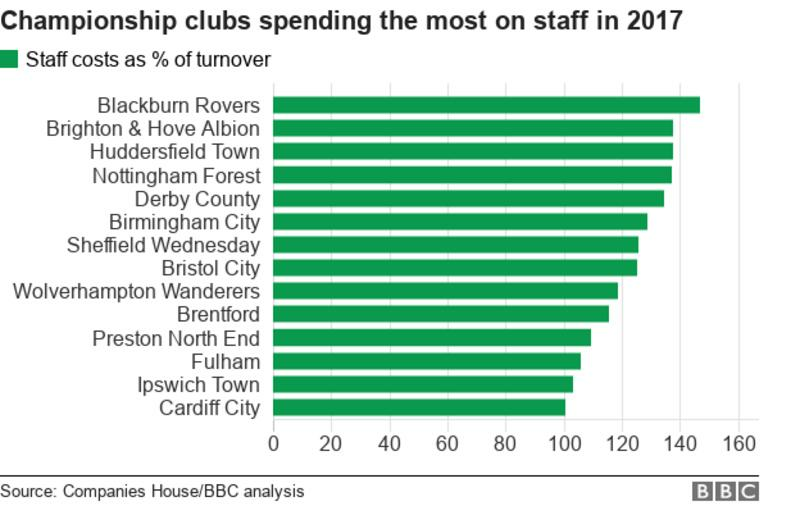 The club has always said that they had the highest wage bill in the division because they had repeatedly backed the managers with the owners picking up the bill. Nobody likes to hear it for some reason.